I've gone a bit sock mad this year. Despite loving clothes for years and kids fashion for a long time, I've never paid too much attention to socks. In fact, it's quite hard to get "cool" socks from high street shops that don't look tacky. I'm not into character clothing and loads of kids socks have characters on them.. or are just highly patterned. Don't get me wrong, I like a pattern, but if your child is wearing highly patterned leggings or trousers you don't necsisarry want to add another loud pattern to the mix! There are quite a few cool sock brands I've descoverd now, mostly on Instagram! One shop stocking pretty epic socks is Greenberry Kids. They have recently started stocking socks from the funky brand Mini Dressing. 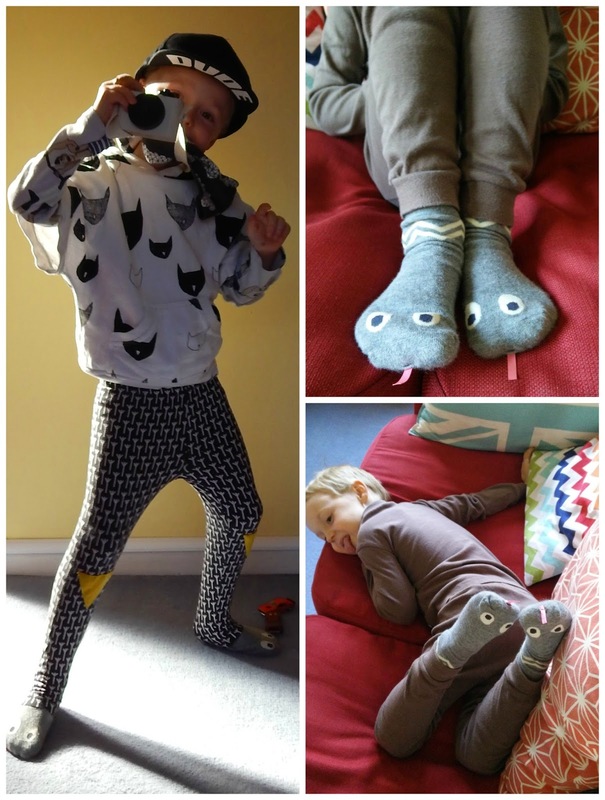 You might have seen some of their socks before - their racoon and fox socks are pretty Instafamous! Have you seen their snake socks though? My two love snakes so I just new these would be perfect socks for them and Greenberry Kids very kindly provided us with a pair for Ethan to wear! Ethan was so excited when he saw these socks he wore them for three days straight after which they pretty much slithered their way to the washing machine!! They look amazing however you wear them and Ethan is very happy to wear them is a win.. but I am really looking forward to summer when he can wear them with shorts and sandals or jelly shoes. They are going to look fab! I'd totally reocommend checking out Greenberry Kids. The socks are quite rare in the UK still and they also stock lots of other coo things! 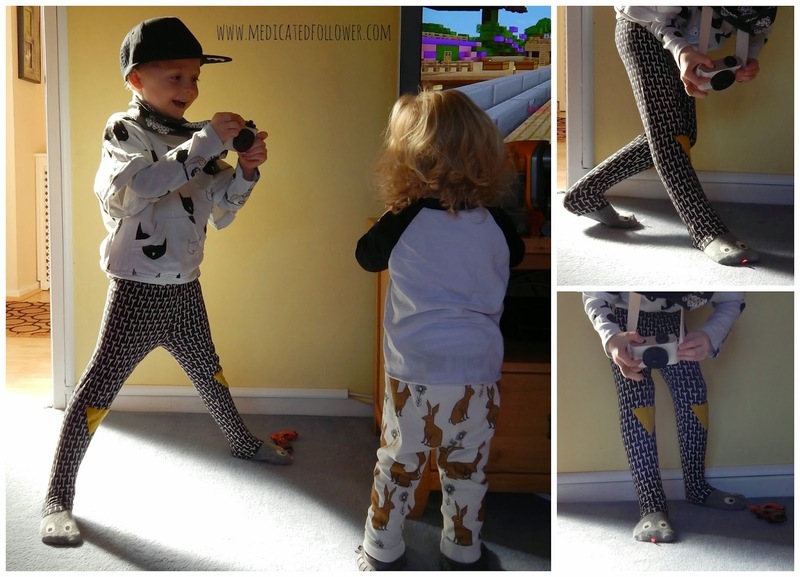 Want to share your kids fashion post? Link up below!